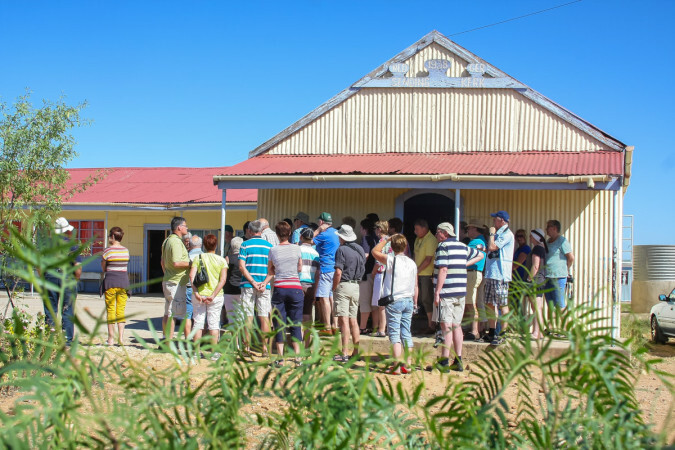 Zeekoegat Primary School Trust raises funds privately to support a small previously disadvantaged Primary & Pre-School School in Oudtshoorn – Western Cape – South Africa. Located 7km on outskirts of Oudtshoorn on-route to Safari Ostrich Show Farm. As the Trust we applied in 2014 for funding from a company called Pedal Power Association. We were fortunate to receive funding to the amount of R20’000 and used these funds to purchase 5 Mountain Bikes. These bikes will be used in order for the children to develop a Sports Skill, being cycling and specifically Mountain Biking. PPA is a Public Benefit Organisation committed to promoting cycling and the interests of cyclists, they assist communities to develop through cycling as the medium and focusing on our youth. 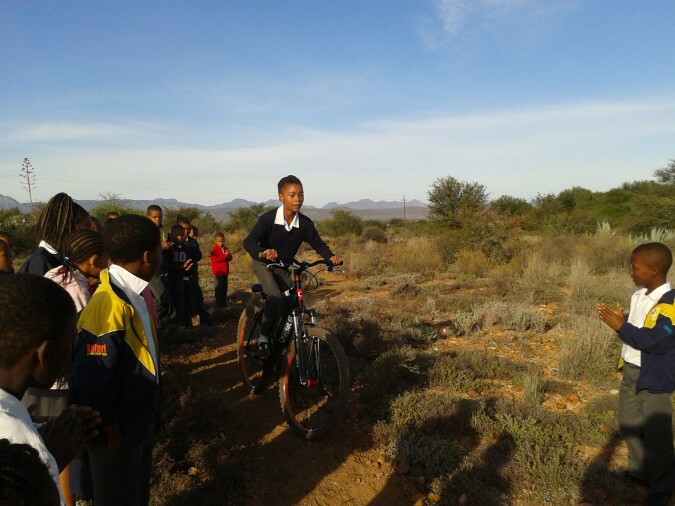 Between June 2014 and June 2015, the Pedal Power Association will invest almost half a million rand in developing cycling initiatives that will specifically benefit members from previously disadvantaged communities throughout the Western Cape – such as Zeekoegat Primary School – Oudtshoorn. We decided to purchase the bicycles through a company in George called Mountain Bike Jammers, Warren Matthysen. This decision was made due to the fact that he also wants to be involved in helping to uplift these children and help develop that love for cycling. Our children spent the long weekend of end April 2015 developing by hand a Single MTB Track of 684 meters and also spent time picking up the rubbish. The MTB Jammers team along with Grade 12 students from George volunteered their time and skills in helping us develop the track. In conjunction with Warren and his team we aim to develop a sustainable resource, fund generator, sporting interest, exciting specialty teaching medium and unique discipline for our kids at Zeekoegat Primary. Apart from the School Track which we created directly behind the school, we also aim to develop an MTB Cycling Track that we can use for our Annual Zeekoegates MTB Race. This race will not be on the annual MTB Calendar initially but will be advertised as a Charity Fun Ride. We are in the process of researching possible Track/s and are looking for any Oudtshoorn Cyclists to please help us in finding the right routes, preferably in the area of Safari Ostrich Farm, De Zeekoe Guest House & Welgeluk Farm – Olivier Family – central members of the Zeekoegat Pimary School Trust. We have started training as of May and we have our first event on 20 June 2015 in George – Spur Eden MTB League Series. We have two teams of 6 children per team that are entered for this event, we don’t have outfits for our team yet and our funds are exhausted as we spent our last funds on purchasing 5 extra bicycles to get us to 11 – still one short for our team. We would be extremely appreciative of any person/s or companies that would like to get involved with this wing of our project. 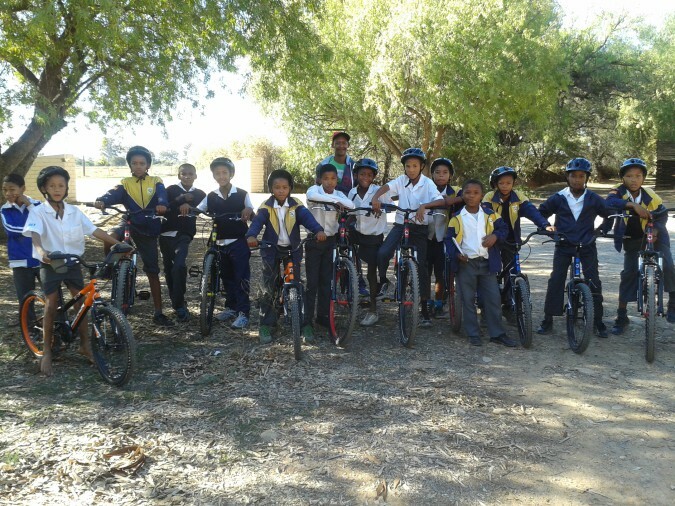 We would also like to ask the community of Oudtshoorn, if you have old working bicycles (for children 6-12yrs) that you are not using, please donate it to our school. Even for the toddlers – scooters or tricycles would be greatly appreciated. We are also looking for bicycle racks to store our bicycles neatly, if any of the schools have old ones they not using, your donation will be greatly appreciated. Please feel free to contact me and we will gladly arrange to collect any donations.